When it comes to creating an eye-catching home design, the little details are the things that make a big difference. And these are the 11 design elements that are most definitely on trend in new homes right now. 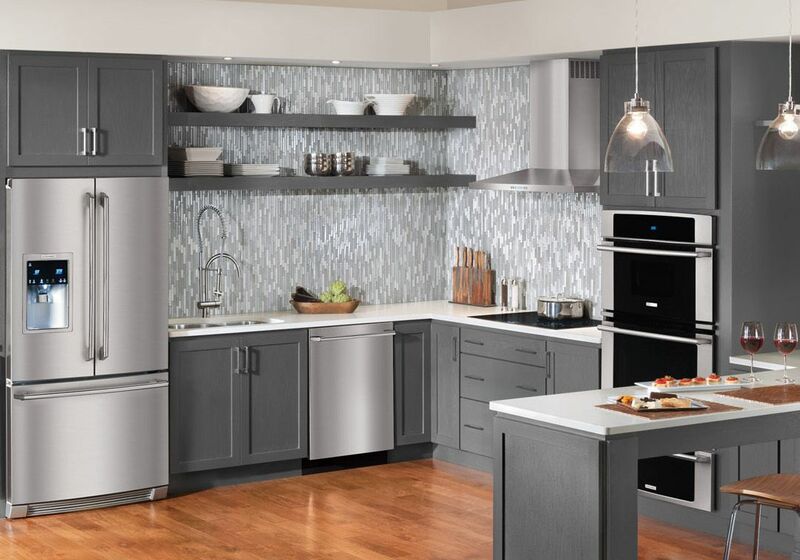 From two tone cabinets to bold colors, colorful cabinetry is trending in new kitchens and remodels. 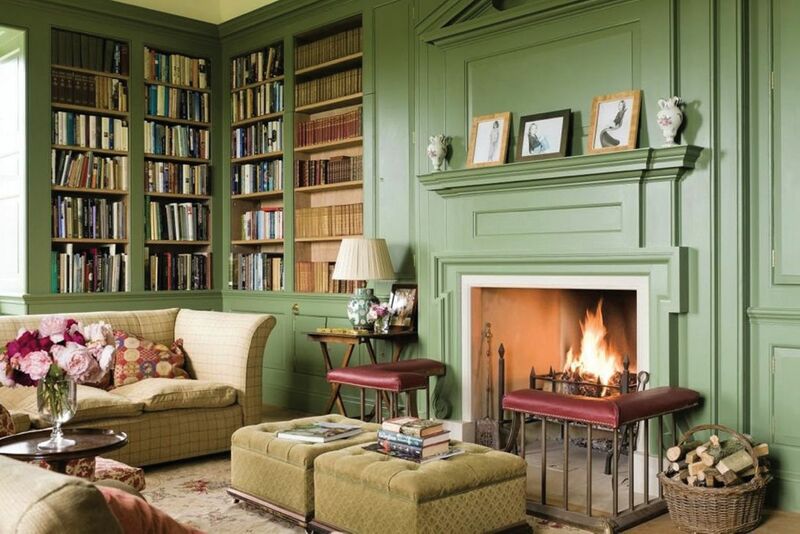 Homeowners are daring to go bold with vibrant colors, over traditional woods and neutral tones. 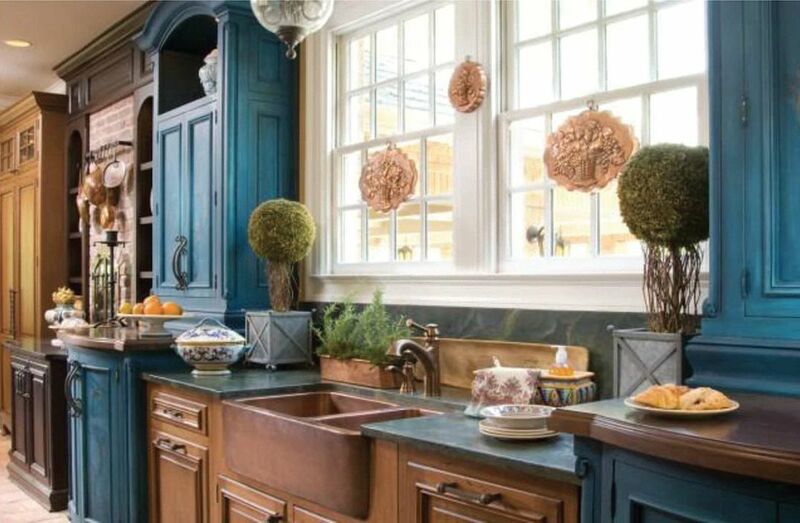 In addition to the colorful cabinets, kitchens are a great place to play with different textures, finishes and colors. 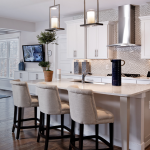 Countertops, backsplashes, hardware, appliances, plumbing, and flooring are just a few of the areas where different textures can create a fun, exciting, yet cohesive look. Some kitchens just never seem to have enough counter space. 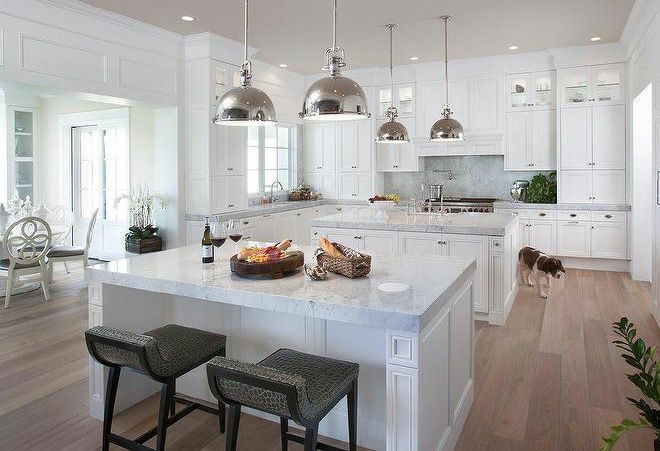 Creating two islands in a kitchen allows ample room for prepping and entertainment space. Traditionally, backsplashes stop at the bottom of the upper cabinets. And in bathrooms, the tile stops half-way up the walls or about 18” from the ceiling. A new trend is taking the tile all the way up to the ceiling. This creates a dramatic statement in any room. 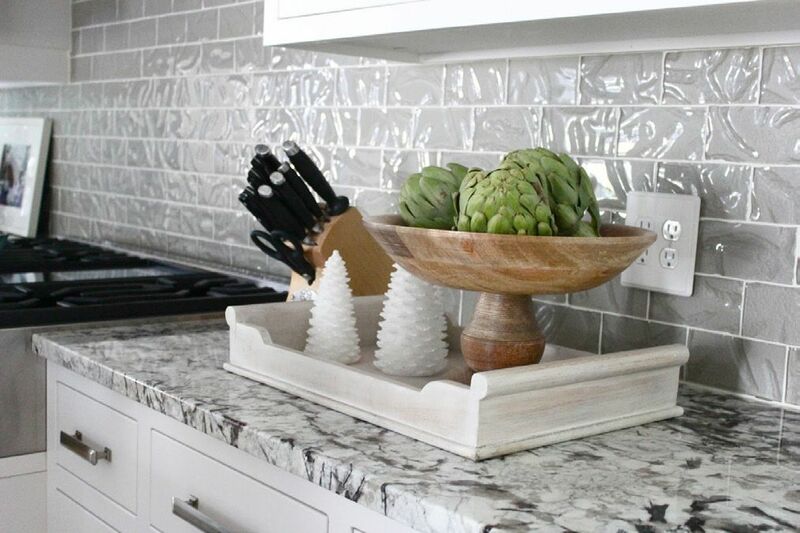 You can create a clean look with subway tile or something a little more interesting with patterned tile. Nature often influences design. 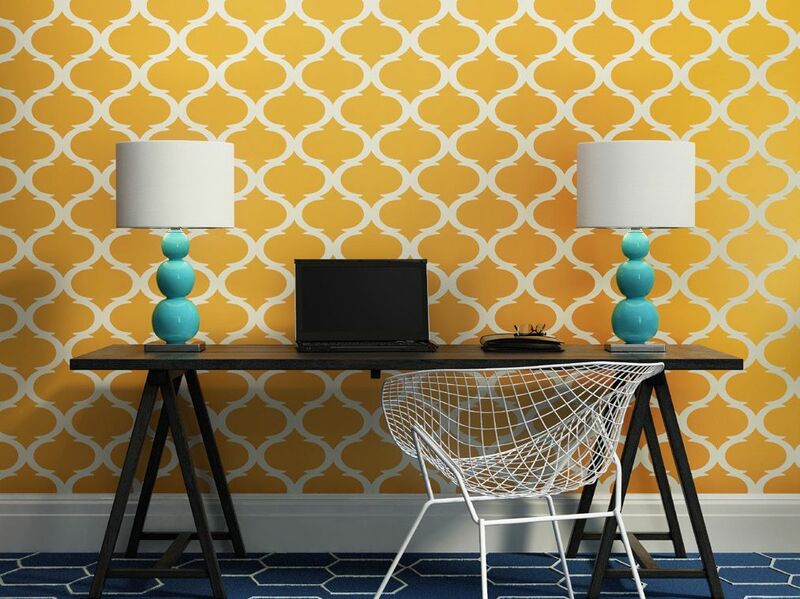 The geometric aspects create a nice modern balance with the other design features while still creating contrast. We all know how things make a comeback. Brass has made a comeback in a big way. It has influenced everything, included but not limited to: lighting, furniture, hardware, plumbing fixtures, décor accessories, even tile and backsplashes. It’s that little piece of flair that adds some bling to any space. Technology has found its way into the home scene. 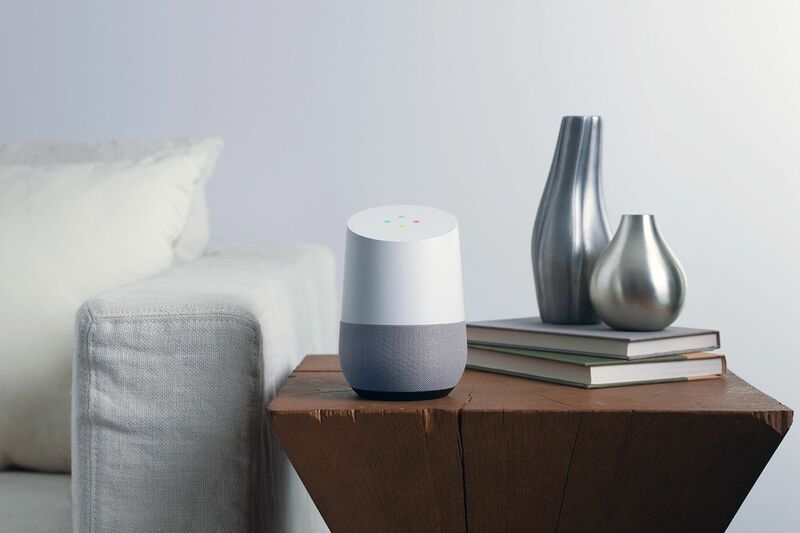 You can now use products such as the Amazon Echo and the Google Home to turn down the lights, or play your favorite song. “Smart” Homes are being built with this technology integrated into them. You can now also use your phone to turn down the lights, set the temperature, and even lock your doors. 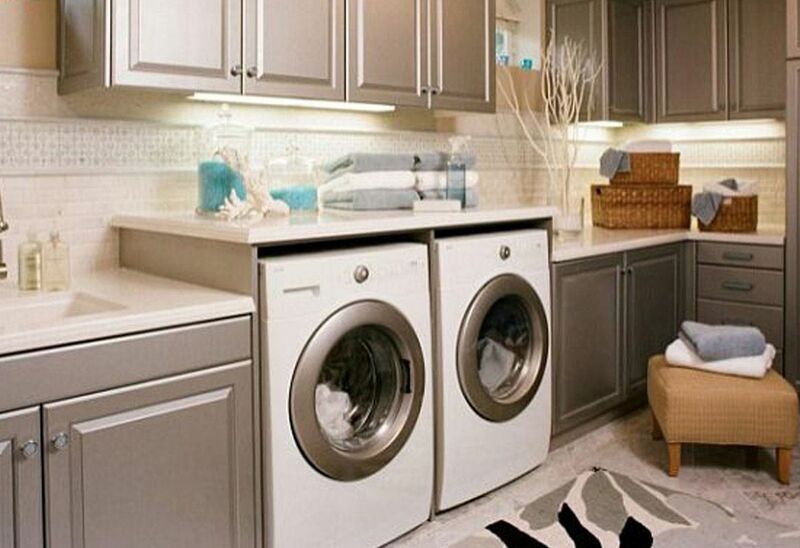 Laundry rooms are becoming more glamorous. They are no longer the corner in the basement with a utility sink plopped next to the washer and dryer. Laundry rooms are getting dressed up with upgraded cabinetry and countertops, backsplashes, wallpaper,chandeliers, and the list goes on. The entryway is the first impression people have of the inside of your home. 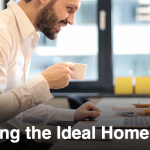 Trends are showing people paying more attention to the entry way and creating a great first impression with the additions of decorative chandeliers, upgraded flooring, and even accented walls and ceilings. We’ve all heard about the rainfall shower head, and if you haven’t, you’re missing out. Bringing the outdoor-feeling to the shower is trending in bathrooms. 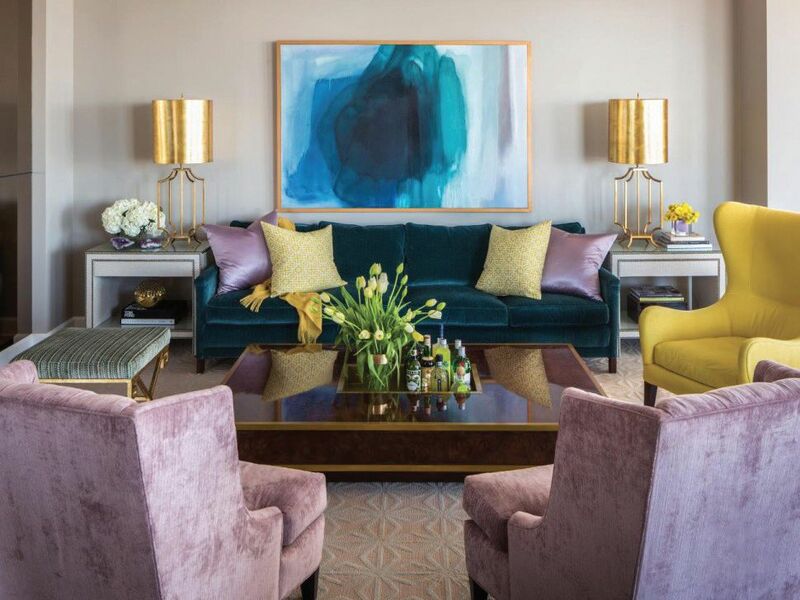 Written by Abby Regis and Leslie Sargent of Design Works Interiors, this story originally appeared in the July/August edition of New Homes Guide. 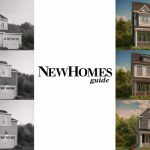 For more trends, stories, how-tos and advice, order your free copy of New Homes Guide today.